We have another sad edition of the NNHS Newsletter this Thursday. B.J. 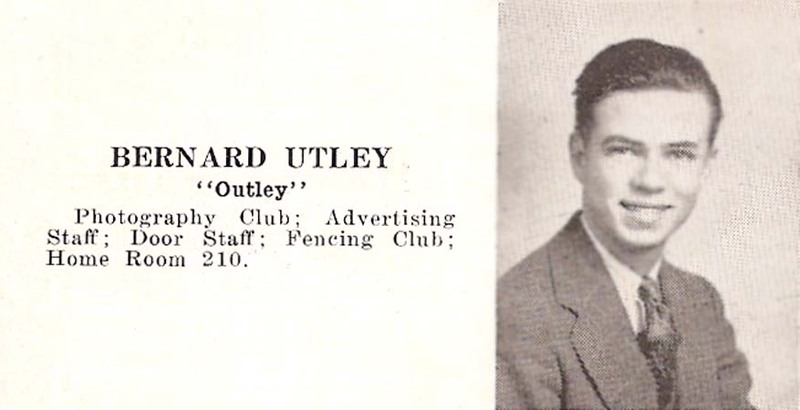 Utley, Class of February 1939, passed away at Chambrel in Williamsburg on Sunday, December 02, 2012 at the age of 91. 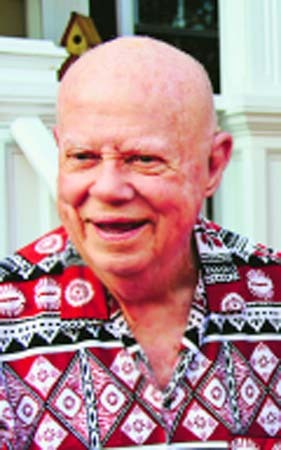 WILLIAMSBURG - Bernard James Utley passed away peacefully, at age 91, on Sunday, Dec. 2, 2012 at Chambrel in Williamsburg, Va.
Born in Newport News, Va., B.J. grew up in Hilton Village. He was a 1939 graduate of Newport News High School and graduated from the Newport News Shipbuilding Apprentice School in 1943. He served two years in the U.S. Navy, in the Atlantic, during WWII. During his early years, he enjoyed many civic activities, including the Lion's Club, American Legion, and the Newport News Chamber of Commerce. He was a Mason for 62 years. After leaving the Navy, B.J. worked for NACA, Technical Services, and in 1969 founded the Advex Corporation. He retired as president and CEO in 1986. He spent his later years at the Outer Banks, N.C., and Chambrel, Brookdale Senior Living, in Williamsburg, Va. He was the unofficial 'ambassador' for Chambrel. B.J. was a family man of incredible integrity, with faith-driven Christian values. 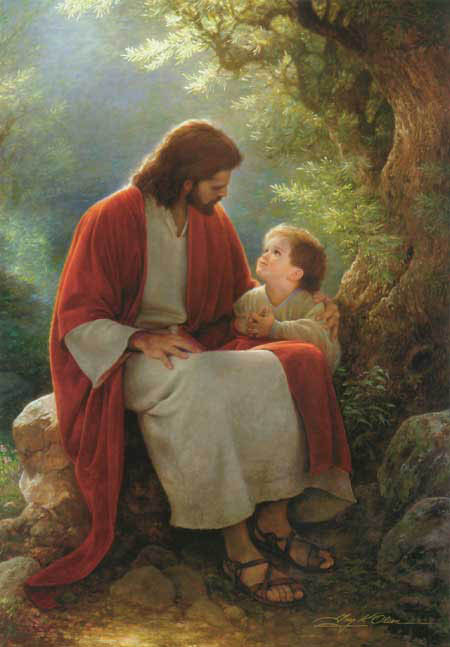 He never lost his love for the scriptures and the Episcopal church. While in Newport News, he was a deacon and lay reader at St. Andrew Episcopal Church, in Hilton Village, and later an active member of St. Andrews By-the-Sea Episcopal Church, in Nags Head, N.C. He never met a challenge that he did not seek to master. He was a consummate traveler. He loved people and journeyed all over the globe never meeting a stranger. In 1943, B.J. married his high school sweetheart, Maybelle Davis, and they were married for 44 years, until her death in 1988. They are survived by four children, Wayne Utley and his wife, Margie of Smithfield, Va., Jim Utley and his wife, Pattie of Gloucester, Va., Suzanne Utley of Harbinger, N.C., and Robin Utley and her husband, Freddie Walter of Hampton, Va.; six grandchildren, Amy Utley of Richfield, Minn., Leslie Utley Cosentine of Huntersville, N.C., Shawn Utley, Aaron Utley, and Adam Utley, all of Gloucester, Va., and Michael Walter of Hampton, Va. In 1989, B.J. wed Josephine Perry, they were married for 19 years until her death in 2009. She is survived by two children, Betsy Robbins of Powell's Point, N.C., and Lee Perry and his wife, Julie of Charlottesville, Va.; and four grandchildren, Jeremy Peters and Katie Yontz of Kitty Hawk, N.C., Jenny Perry of Charlottesville, Va., and Daniel Perry of San Diego, Calif. They are survived by 10 great-grandchildren, Matthew, Abby, and Kate Cosentine, R.J., Trenton, Zachary, and Allyson Utley, Ali Saunders, and Kendall and Brooklyn Yontz. He is also survived by his dearly loved friend, Mrs. Aleen Robinson of Chambrel. A celebration of life service will be held from 11 a.m. to 12:30 p.m. Saturday, Dec. 8, at Chambrel, 3800 Treyburn Dr., Williamsburg, Va. Visitation for family and friends will continue at the home of Wayne Utley in Smithfield, Va., beginning at 3 p.m.
Memorial contributions may be made to Hospice House and Support Care of Williamsburg, 4445 Powhatan Pkwy, Williamsburg, VA 23188.View and post condolences on our online guestbook at dailypress.com/guestbooks. I remember your dad, Wayne, a little bit from good old Hosier Street. We did have some fun across the street playing in the woods. We are sorry for your loss but happy you had him for so long. Robin - I'm so sorry to hear about your father. Stay strong. Mr. Utley would always take the time out to speak or just to say something to make you laugh. He truly will be missed by many who knew him. 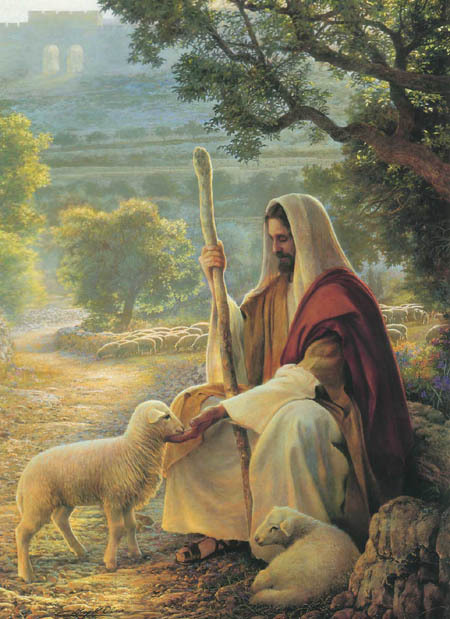 I will keep your family in prayer. Wayne, Jim, Suzanne and Robin - I am so saddened to learn of the passing of your wonderful father. He was the last of the 'era' of old times that we enjoyed as young children. He was a very remarkable man and he left an equally remarkable family to cherish his memory. My love is with you as you travel this most difficult path. Our heartfelt thoughts and prayers are with all of you and we hope that your hearts will soon be filled with peace, comfort and many wonderful memories of joyful times you shared together with this great man.....husband, father and friend! Our deepest sympathies are extended to the entire Utley family and their friends.